The Martinez Small Chandelier by Eichholtz will add a touch of luxury to any home interior whether traditional or contemporary. 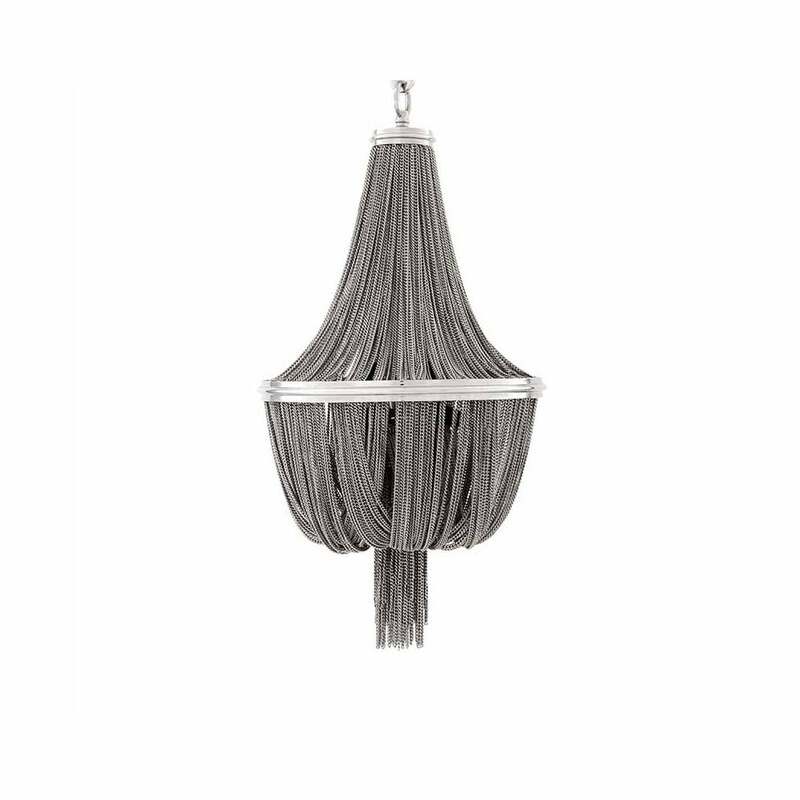 Crafted from the finest materials, the delicate chains are gathered and tapered to create a free flowing shape and decorative tassel. Hang in a hallway or living space to channel Hollywood glamour. Complete with adjustable chain, the length can be customised to suit your interior requirements. Also available in a larger size. Make an enquiry for more information.